Place your original facedown on the scanner glass with the top facing as shown. Slide the original to the edges of the indicated corner. Note: You can place multiple originals on the scanner glass. Just make sure they are at least 0.8 inch (20 mm) away from each other. 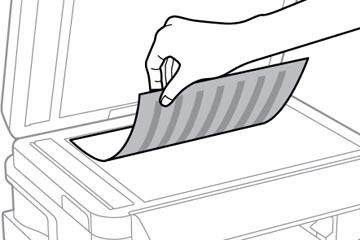 Close the document cover gently to keep your original in place.